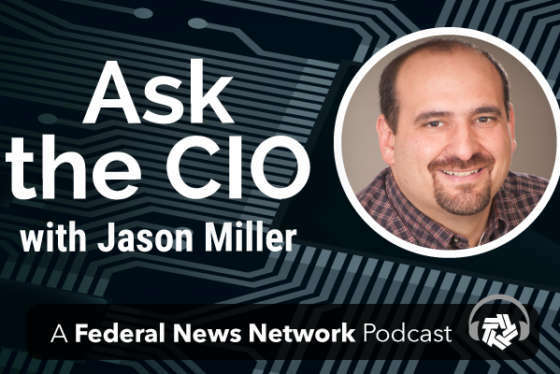 Listen to the full Ask the CIO show. The ad-hoc nature of how the Army develops, trains and sustains cybersecurity workers is ending. Over the next year or two, the Army will give cyber workers their own career field, preliminarily known as Career Field 17. Ronald Pontius, the deputy to the commander of Army Cyber Command, said the professional cyber-trained forces in the Army will be about 5,000 to 6,000 soldiers strong. Pontius said a professional cyber career field is the next evolution of a decision made two years ago by then-Defense Secretary Leon Panetta for the services to have cyber mission forces. The Navy and Air Force have been out in front over the last few years. The Navy created its Information Dominance Corps and the Air Force created career paths for both officers and enlisted personnel, specifically intended to let cyber experts stay in the field throughout their military careers. Pontius said he expects the Army’s new cyber career field to be a combination of new military occupational specialties (MOS) as well as soldiers coming over from the signals and military intelligence career fields. Pontius said this new career field is the Army’s contribution to the larger U.S. Cyber Command and joint capability. Along with a career field, the Army is considering developing cybersecurity acquisition expertise. Pontius said no decision has been made yet, but they are assessing what the best approach would be to address short- and long-term cyber acquisition needs. The Army’s need for a dedicated cyber workforce will increase as it moves more and more to Joint Regional Security Stacks (JRSS). In fact, the Army and Air Force reached initial operating capability for its first JRSS in the continental United States on Sept. 14 at Joint Base San Antonio. Formerly known as Fort Sam Houston and Lackland Air Force Base, those neighboring Army and Air Force installations now are managed administratively as one joint base. Now, the security of their IT networks are too. Pontius said the impact of the JRSS is hard to quantify yet, but he knows there will be network and cyber improvements. Pontius said he expects the JRSS to give them better situational awareness and the ability to defend the networks more effectively.